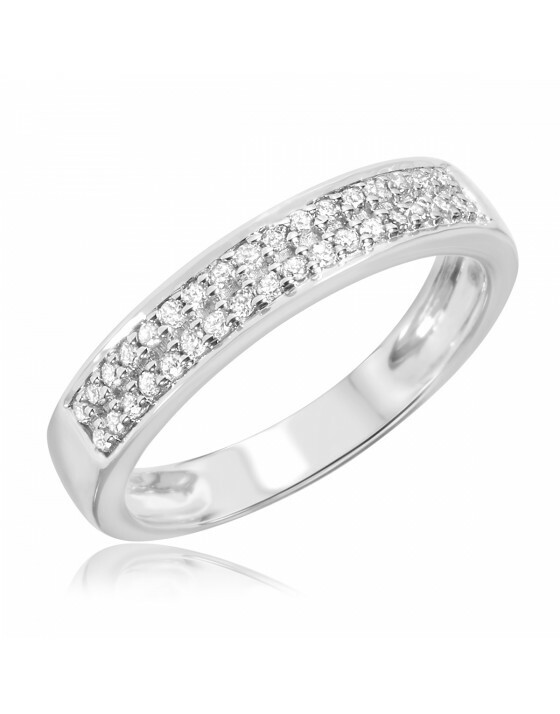 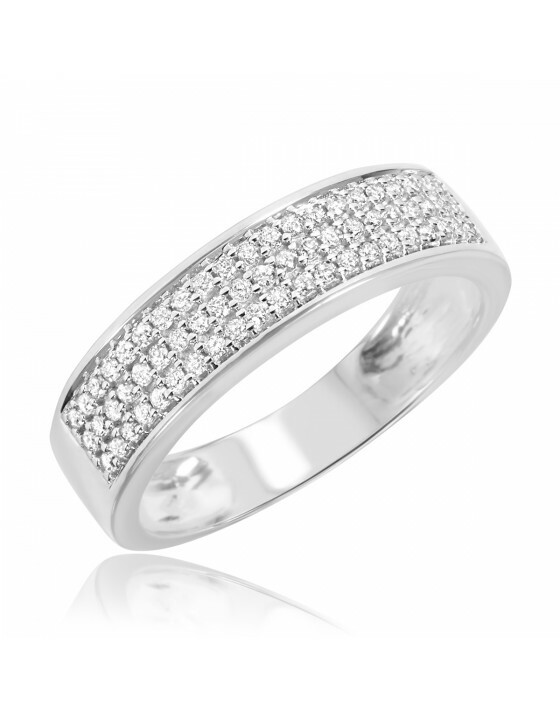 This authentic diamond men's band holds 69 round diamonds with three parallel rows along the front for a combined 1/4 carat. 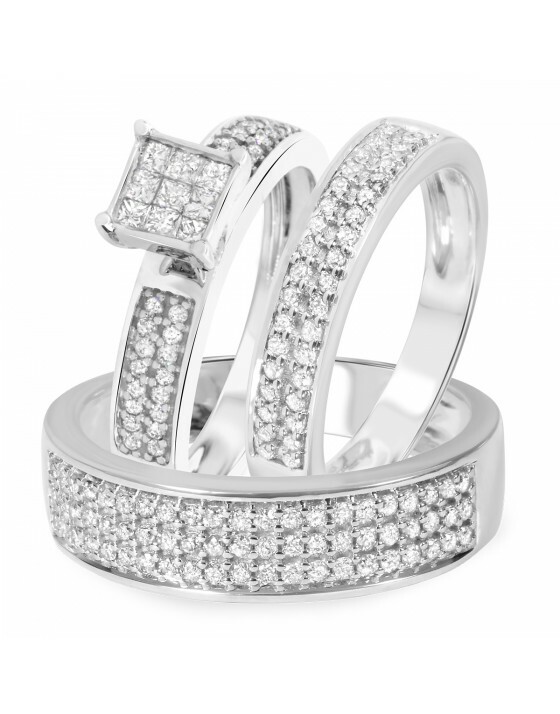 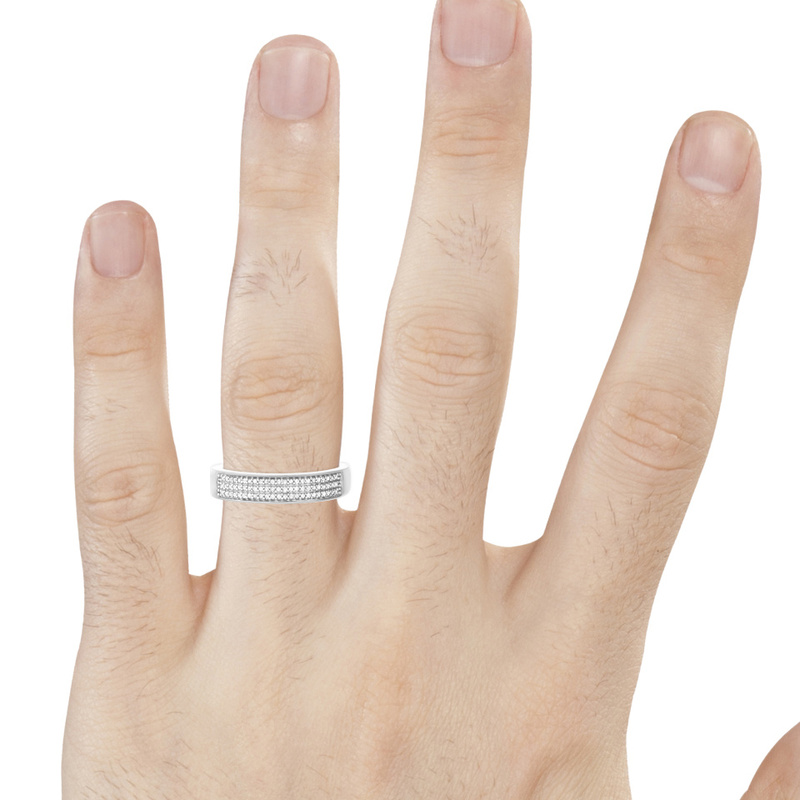 You'll look dashing when you pair the bright diamonds and 10K White Gold with a crisp suit or a preppy polo. 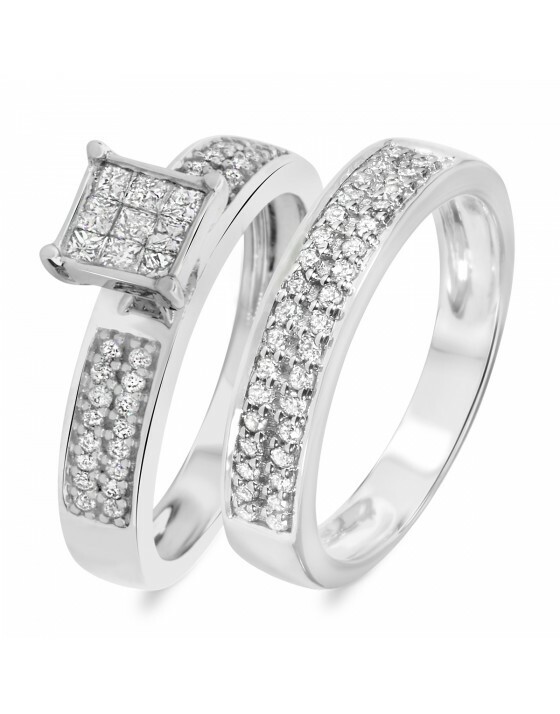 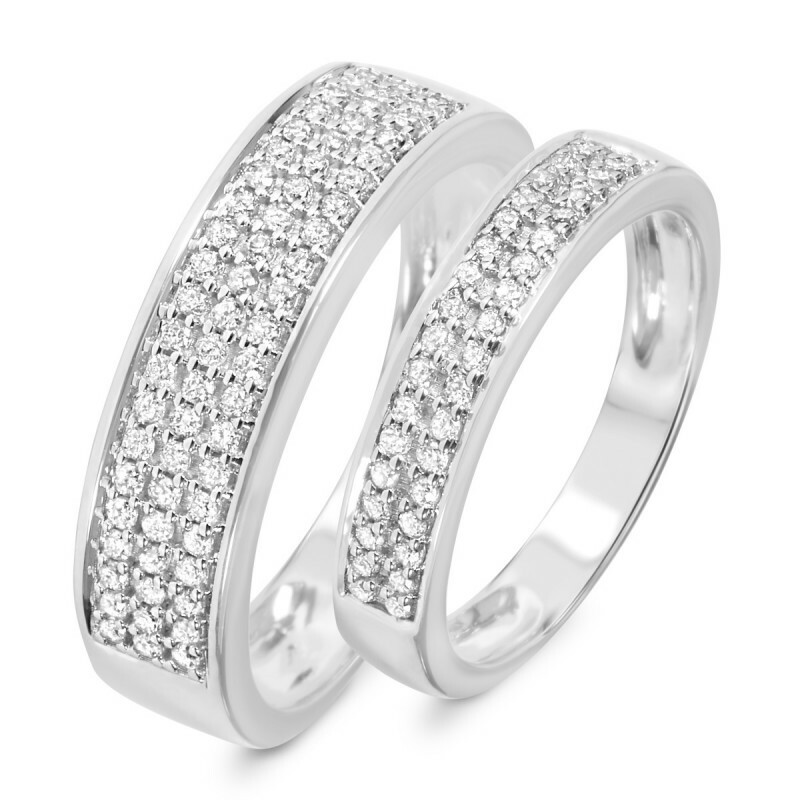 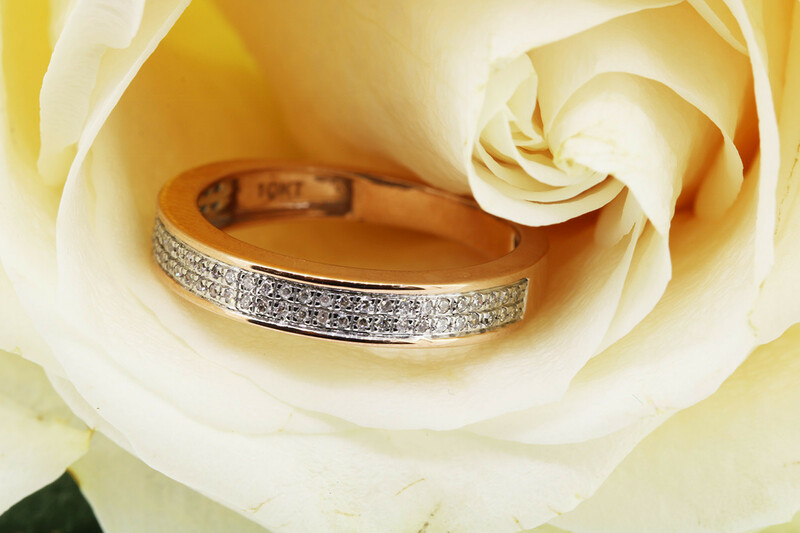 Beautiful wedding rings, received it before Time the rings was beyond my imagination, loved the sparkle on diamond, it arrived in a beautiful box I loved it, thank you my trip rings, I will recommend you to all my friends and family. 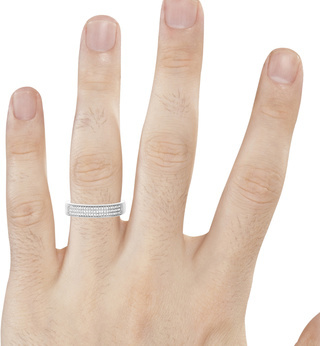 I rate this a five, because the ring is solid white gold and a beautiful fit. 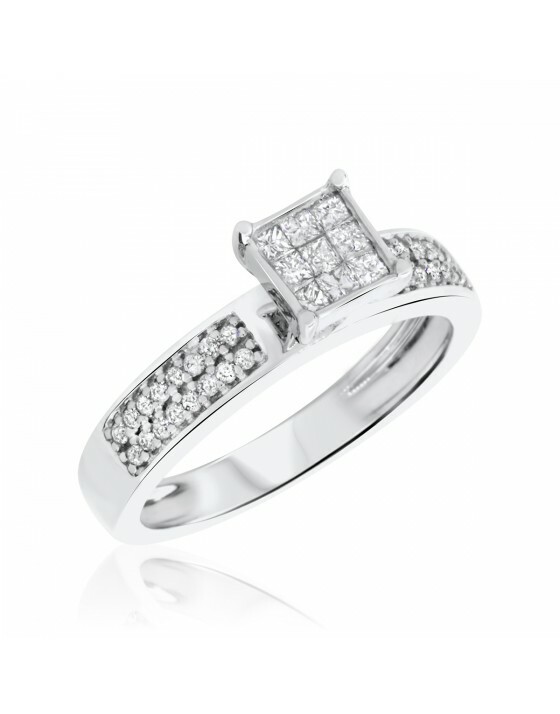 Prompt service, love the ring, great price.